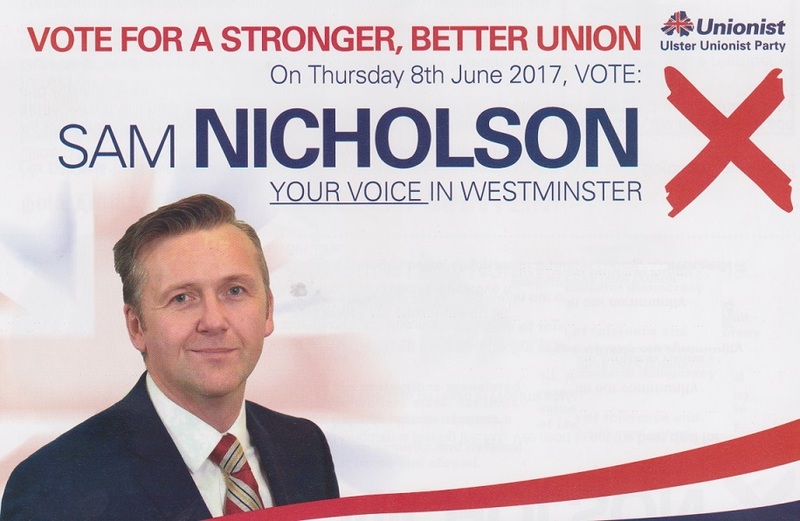 A Leaflet from Sam Nicholson running for The Ulster Unionist Party in Newry and Armagh in the 2017 Westminster Election. From the 1997 Westminster Elections a flyer from Ulster Unionist MP Ken Maginnis running in Fermanagh South Tyrone. Maginnis was re elected. From the 2011 Local Elections in Northern Ireland, A leaflet from John Crawford of The Ulster Unionist Party standing in Moyola for a seat on Magherafelt Council.